Today is the last day of my longest-ever Recipe-A-Day Week. I think if I do another one I’ll just call it Recipe Week. Anyway, this is a really delicious pork tenderloin recipe from the April ’10 Food and Wine. 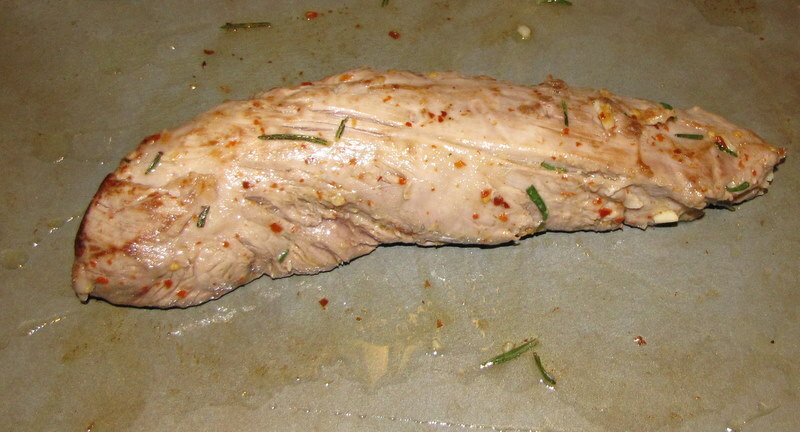 But I learned something about pork tenderloin while making this: it is impossible to photograph a whole piece of pork tenderloin and NOT have it look like a slithery, alien invader. Delicious, but really unattractive as a whole piece. I served this with grilled asparagus and buttery herbed orzo, simple and awesome. 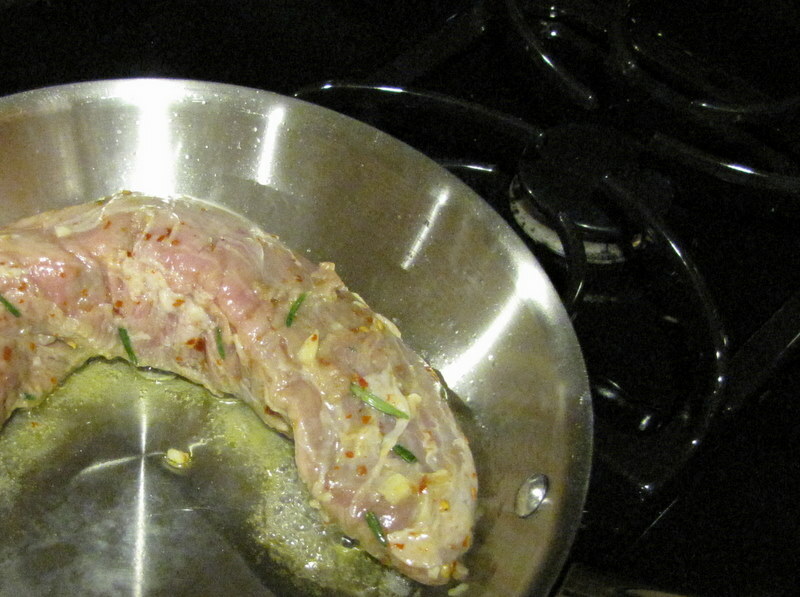 And fairly healthy, the pork is not weighed down with tons of oil or butter. 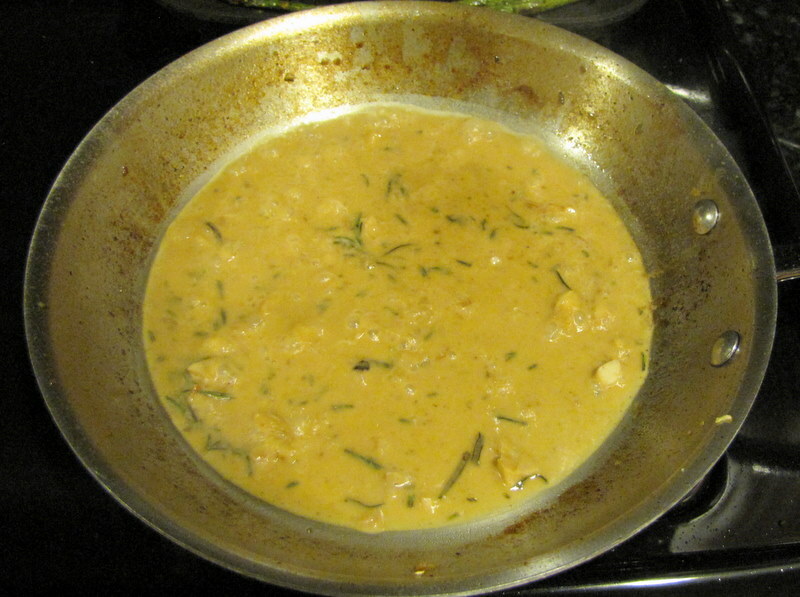 I also made up a pan sauce to go with it because I like sauce, but it’s not pictured on this plate. However, if you’re interested in the sauce, it’s at the bottom of this recipe. I did my best to remember the measurements I used since I technically put in a bit of this, bit of that. But I tried to stick to what I loosely understand about making such sauces, and whatever I made was pretty yummy. The original recipe served 8 people and involved 4 tenderloins, so I’ve shaved down the proportions for 2 people (but some of the herbs are amped up for the proportion because that’s just how I roll). And you do need to marinate this for 6-8 hours, just a note in case you’re anything like me and decide to start dinner without first checking how long it takes to make. And here’s the original recipe if you’d like it. Bon Appetit! In a large resealable plastic bag, combine everything but the salt and pepper. Seal and refrigerate for 6-8 hours. Let the pork stand at room temperature for 1 hour. Preheat the oven to 400 degrees F and preheat a griddle or a very large skillet. Remove the pork from the marinade, scrape off most of the garlic and rosemary (I personally left it like it was) and season with salt and pepper. Set the tenderloin in the pan and cook over high heat until browned all over, about 6 minutes. 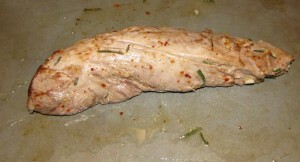 Transfer the pork to a baking sheet and roast in the oven for 12-14 minutes. 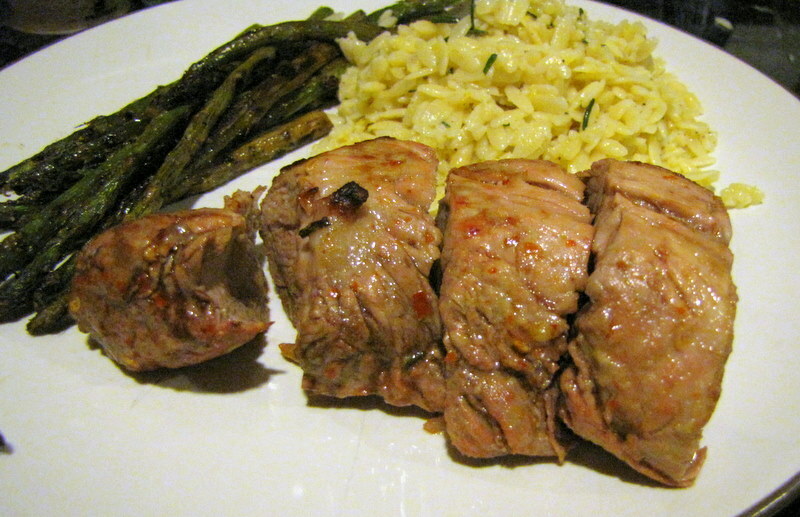 Cover the pork loosely with foil and let rest for 10 minutes before slicing and serving. 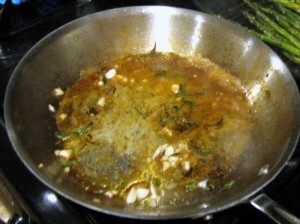 Using the same pan the pork was browned in, deglaze with 1/2 cup chicken stock and a splash of white wine/dry vermouth. Add the heavy cream and simmer 5-10 minutes, until it thickens a little and coats the back of a spoon. Swirl in the butter off the heat. Season with salt and pepper.